God Encounters Ministries actually started in Missouri in the early 1990’s and was originally called Ministry to the Nations. This season was filled with zeal, prayer and activating many into the prophetic. 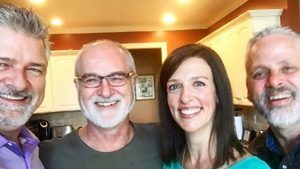 It was a natural – supernatural overflow of the relationship that James (Jim) and Michal Ann Goll had with Jesus and with each other. After moving to the Nashville, TN area in 1996, the ministry was renamed Encounters Network – a ministry to the nations. Teaching and training, networking leaders, and hosting regional and national conferences made up a large part of this second phase of growth and outreach. Several pivotal ministries were birthed during this time which became expressions of Encounters Network. On September 15, 2008, the season yet again changed as Michal Ann’s graduated to heaven after a lengthy battle with cancer. She left a huge hole and yet the legacy of her life has had an impact on thousands. Her love for serving the poor of the earth motivated her to found a unique expression of love for God called Compassion Acts. She will always be loved, honored and deeply missed by many. On December 12, 2015, the Lord spoke to James to choose others to empower and release into spheres of his ministry. As a result of his obedience to this word, the ministry entered a strategic season of fathering, equipping and empowering others to carry many of the spheres that James and Michal Ann had birthed as Expressions of Encounters Network. Women on the Frontlines Conferences were conceived by James and Michal Ann beginning in 1997. But in 2014 James released the future direction and leadership to Patricia King of Christian Association Ministries in Phoenix, AZ. Since then the Women on the Frontlines DNA remains the same while the vision continues to flourish and expand globally. Compassion Acts was birthed in 2004 and continues today under the capable leadership of Mark Roye as the International Director. It is now moving forward as an expression of Freedom’s Promise led by Tiffany Atkinson based in Nashville, TN. We are thrilled to see this vital ministry “where love takes action,” continue to prosper. James launched Prayer Storm in 2007 to mobilize prayer for Revival in the Church, Prayer for Israel, the World’s Greatest Youth Awakening, and Crisis Intercession. 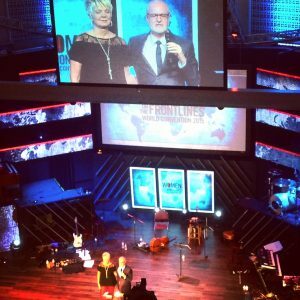 Jon and Jolene Hamill of Lamplighter Ministries in Washington DC are now the International Directors of Prayer Storm. They carry a true prophetic intercessory mantle for the future direction of this vibrant ministry. James continues to build relationally with each of these leaders. It is exciting to see the visions of these ministries not only continue, but find fresh life and new direction for the days to come. God Encounters Are for Everyone! As we look to the future, we will continue the vision to equip and mobilize the body of Jesus Christ by teaching and imparting the power of intercession, prophetic ministry, and life in the Spirit. Put simply, we believe that God Encounters are for everyone! And we want to see people all over the face of the earth changed through a personal relationship with the Lord Jesus Christ. So while honoring and stewarding the best of the past, we are excited about what God has for the future of this ministry. God Encounters Ministries will continue to give expression to the voice of James W. Goll as a watchman and a teacher of the ways of God. 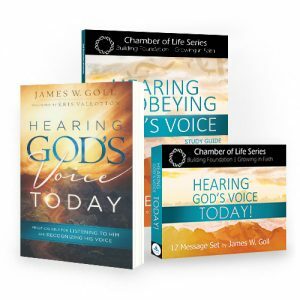 Whether through prophetic blogs, social media posts, online webinars, inspirational and practical classes, books, study guides, and curriculum kits for personal use and small group settings, James’s heart remains the same. Let’s equip the church to impact the world! Our covenant is to love the Lord our God with all our hearts, souls and strength and learn to love our neighbors as we love ourselves. As stated by the Moravians in the 1700’s, we intend to “win for the Lamb the rewards of His sufferings.” Will you do it with us? Once I was given a dream where I was searching for G.E.M.’s. These precious jewels were to be presented to the King of Kings and added to the Lord’s crown. We cannot fulfill this vision alone. I believe that thousands of believers just like you will join us by finding G.E.M.’s for the Lord’s crown. One way you can help is to become a monthly financial partners or give a one-time donation. Together we can see Jesus Christ “receive the rewards of His suffering.” We would be honored to have you partner with us in this exciting and yet humbling journey where Jesus Christ is crowned Lord of All! Remember, Together in Jesus, We Make a Great Team! God Encounters Ministries is a DBA of Encounters Network, a federally approved, tax-exempt religious organization based in TN and governed by a Board of Directors. Our aim is to walk in integrity and accountability in moral, financial and doctrinal issues. As a result we also periodically receive counsel from an international apostolic council. 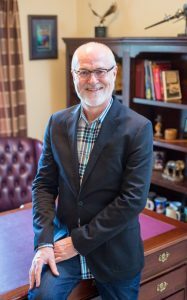 James W. Goll is one of the primary apostolic leaders of Harvest International Ministries founded by Dr. Che Ahn of Pasadena, CA. He is one of the original instructors in the Wagner Leadership Institute and has his Doctorate in Practical Ministry from WLI. A firm believer in the local church, James is an active member of a church in Nashville, TN. Click Here for more information about Harvest International Ministry, the primary apostolic family to which we are aligned. With any effective business or ministry, “core values” shape the culture of the organization and how decisions are made. These 12 Key Phrases identify the core DNA of God Encounters Ministries. Without a vision the people perish. But with proper progressive revelatory vision from the Lord Himself, we can move mountains! I hope that these 12 ingredients resound within you as they did in me when I shared them with our leadership team some time back. They exemplify who we are as a multi-faceted ministry. We are called to make a difference in Christ Jesus by joining the generations, genders, races and people of various economic strata. This modern “justice generation” has many Hope Ambassadors arising who will bring forth God’s revival, renewal, restoration and reformation in the earth, welcoming the Kingdom age and culminating in the return of Christ Himself! Now that is worth living for! I was taught by my late uncle, who was in full-time ministry for over 60 years, “If you aim at nothing, you will surely hit it.” So let’s aim high together and see God’s will be done on earth as it is in heaven for Jesus’ sake.